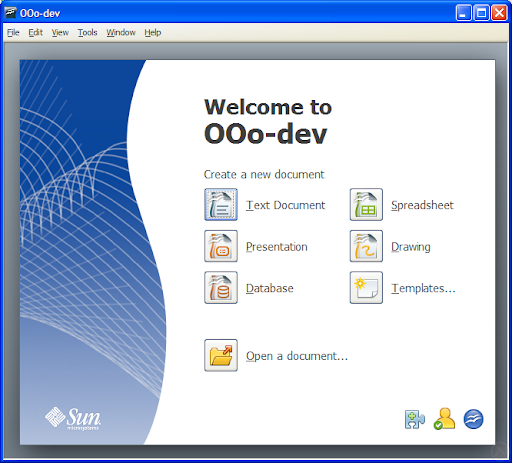 Mac OS X is not the only platform with improved integration for OpenOffice.org 3.0. There's an unspoken rule on Windows platforms that applications must provide start link icons from the desktop. It's expected. It's tradition. It's how people start applications on Windows. Without desktop icons, an application is not fully integrated in Windows and cannot earn the coveted "Designed for Windows" bezel. But seriously, this important usability feature is available in OpenOffice.org 3.0. 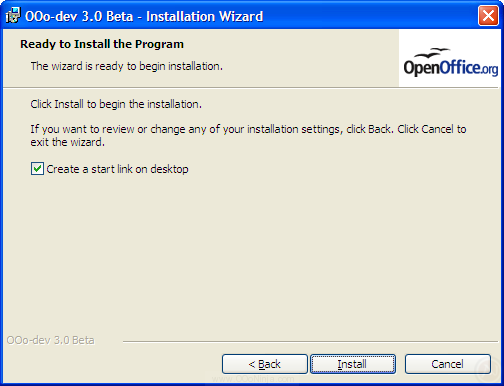 The last step of the OpenOffice.org 3 for Windows installation provides the option, which is enabled by default. Just click Install. Then, the friendly icon will greet you on your desktop. Clicking on this launcher brings up the new start center. Everything should be this easy. Those with older OpenOffice.org versions can easily add a desktop icon. 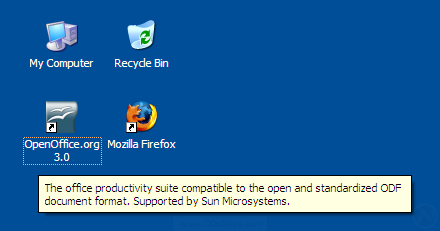 In Windows or KDE (Linux), drag OpenOffice.org from the start menu to the desktop. In GNOME, right click the OpenOffice.org menu entry and then choose Add this launcher to desktop. Wouldn't the desktop get cluttered quickly with an application launcher for each software package? In Ubuntu there is a menu for launching software, I find it hard to believe that such a feature is missing from Windows. 1. On the two OpenOffice.org forums, this is a FAQ. People ask either "I just installed it, but now how do I start OpenOffice.org?" or "I know how to start it, but I still want a desktop icon or quick launcher icon." 2. There is only one icon needed for all applications because of the new start center. 3. The icon is optional and can easily be removed. 4. 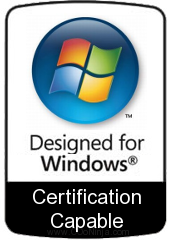 On Windows, as I mention in the article, the icon really is a standard that people expect. Even at my work, I often come across people who never use the Windows start menu: they always use desktop icons. For the updates and communications! It makes the OpenOffice experience that much more enjoyable and delightful.